Ramco HCM on Cloud is a global HR & talent management solution that covers your organization’s human capital management needs from hire to retire. Work for Ramco HCM with Global Payroll? 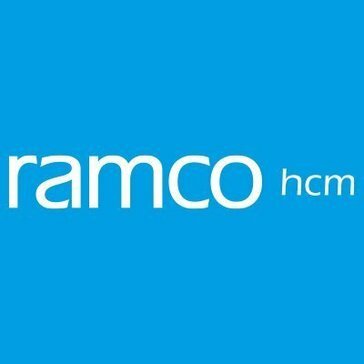 Learning about Ramco HCM with Global Payroll? "Great Tool to manage talent and attendance"
Ramco HCM has a great ability to manage remote users and simplistic user interface.integration and customization is also good . Contract Negotiation is flexible and operations is very transparent. deployment was on time with very good quality and features are really industry standards. Technical support is good but can be enhanced and the training as well. Build a strong change control and governance and a strong SLA while negotiating the contract. Ramco has a Strong services expertise about its product which helps it provide very good service. The Product functionality and performance is upto the mark. Contract negotiation was flexible and commercials were industry standard and also they could be identified as strategic partners as they are customer driven and has a product vision for future. "Simple to use Cloud HR tool"
I like the best how they covered all HR needs & made it a unified HR platform. The ease with which it can be integrated with most of the decent ERPs. Good option of time and attendance using NFC / SMS which help users as many of them have NFC & smartphones. some decent features in recruiting side & performance management. They should allow more add-on & have a more active developer blogs / forums. Need better training. Better customer support. have a very thorough study about what your organisation need before evaluating this tool. Most likely it will take care of all your requirements until unless you have some crazy one. Go through case studies of similar companies as yours. "Good product and on-time training's, expected bit more matured support team"
"One stop shop but implementation was chaotic "
Ramco is Multifunctional. You can keep track of hours, PTO, business goals, reviews, etc. It is not very user friendly. It's hard to navigate from one page to the next. The shortcuts are not set up correctly. The application often freezes and times out unexpectedly. We use Ramco for timekeeping and employee learning requirements. "A software for Global companies, but is lacking"
The payroll system that allows for processing payroll in several countries is what I like best. Customization is difficult and implementation was extremely cumbersome. Customer service needs improvement. Global payroll which can be tricky with any system. * We monitor all Ramco HCM with Global Payroll reviews to prevent fraudulent reviews and keep review quality high. We do not post reviews by company employees or direct competitors. Validated reviews require the user to submit a screenshot of the product containing their user ID, in order to verify a user is an actual user of the product. Hi there! Are you looking to implement a solution like Ramco HCM with Global Payroll?